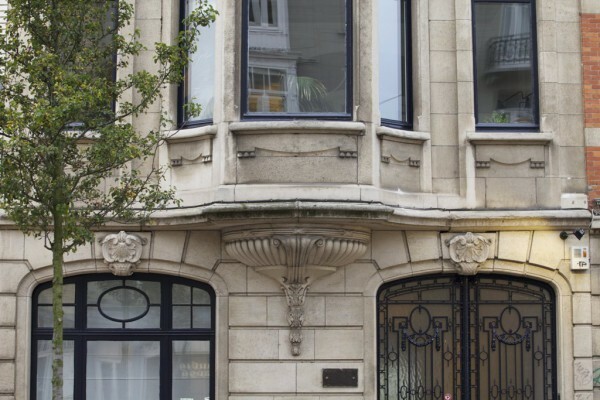 ,ocated next to the Cinquantenaire Park and close to the European institutions, B & B "Living in Brüsel" is an ideal place for your business trips or simply to discover Brussels. We welcome you with pleasure in a beautiful town mansion built in 1913 and renovated a century later in 2013, conserving authentical elements and introducing all modern amenities. Our guesthouse "Living in Brüsel" offers 5 spacious and comfortable bedrooms. 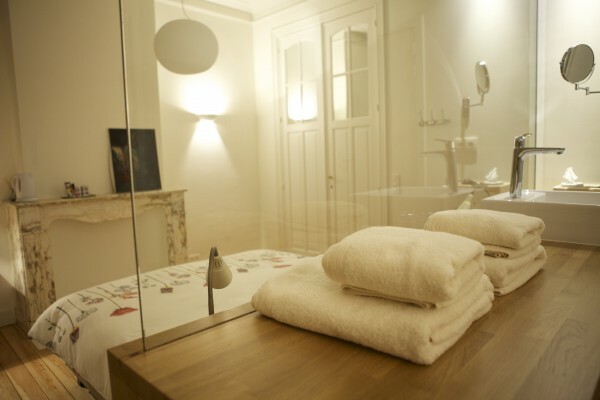 One of our rooms has a kitchen corner, and is situated in a very calm area of Brussel. All rooms are equipped with box spring beds measuring 2m10 by 1m80 with ensuite bathrooms (bathtub or shower), hairdryer, towels, and separate private toilet for eacht room. 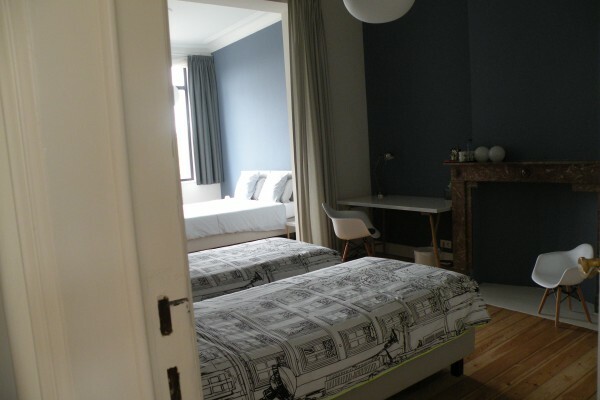 You will also find a large desk, cable television, tea / coffee facilities, very fast WiFi connexion, safe and airconditioning for the rooms 1 and 4. Breakfast not included: 9€ per person per night. Our Guests can dispose of two covered parkingplaces at 9€ per night stay. The Guesthouse Living in Brüsel, Urban B&B offers 4 bedrooms and a studio. All rooms are equipped with box spring beds measuring 2m10 by 1m80, ensuite bathrooms (bathtub or shower) with hairdryer and a separate private toilet. You will also find a large desk, cable television, tea / coffee facilities, very fast WiFi connexion, safe, and airconditioning in rooms 1 and 4. To ensure a good night's sleep, you can choose between different types of pillows. You will be sleeping in an oasis of tranquillity and wake up in timeless elegance. Breakfast is not included in the room's price: 9€ per person per night. Room nr. 5: Price per night per room: 125€ (max 2 adults) and from 2 nights on 120€ per night stay. Breakfast: 9€ per person per night. Located rear side of the house. Breakfast is not included in our prices: 9€ per person per night. Our breakfasts are composed of breads and pastries, homemade jams made of organic fruits and -where possible local and organic - meats and cheeses accompanied by coffee and tea. You will find homemade yoghurts and fresh cheese. The breakfast is served from 7 AM until 9 AM. We serve dinner but only if requested 24 hours before. We love pets but we can't admit them. No, but we are equipped with a home-elevator. High speed Wifi and Internet, especially for business man/women. No experiences yet with Living in Brûsel, Urban B&B. Be the first! 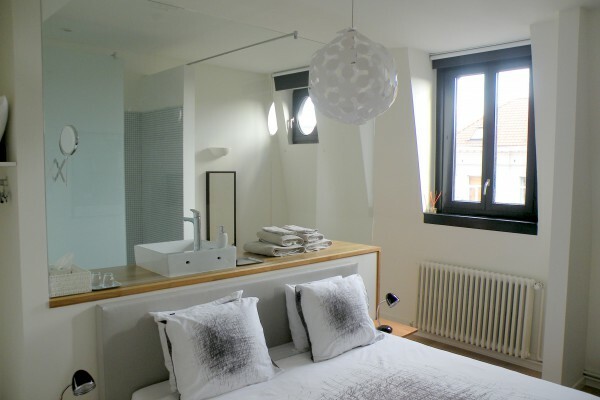 Did you stay in Living in Brûsel, Urban B&B? Let us know what you thought about it and help others to make the right choice! * I confirm having stayed in Living in Brûsel, Urban B&B. 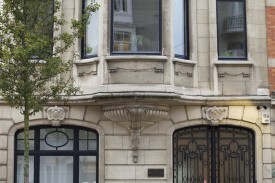 Find other bed & breakfasts in Etterbeek or all bed & breakfasts in Brussels.